Easy installation and these things work awesome! I have only had installed for a week and I have gotten a ton of comments and compliments on them. 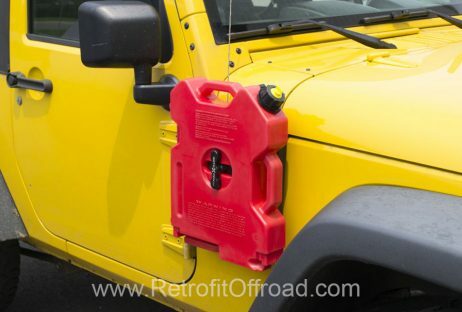 I have a good friend that is planning to order some for his Jeep. In case anyone is wondering… I am running the 2 gallon rotopax and they fit perfectly. Doors open and close without making contact! Awesome design.